Five singles from five of the most anticipated albums of 2019. Introducing Sugarmilk, the funk-heavy debut album from Southside Miami Heights producer and vocalist Wan. New York City-based group Holy Ride releases debut EP, Party Tricks, a blend of soulful guitar tracks. 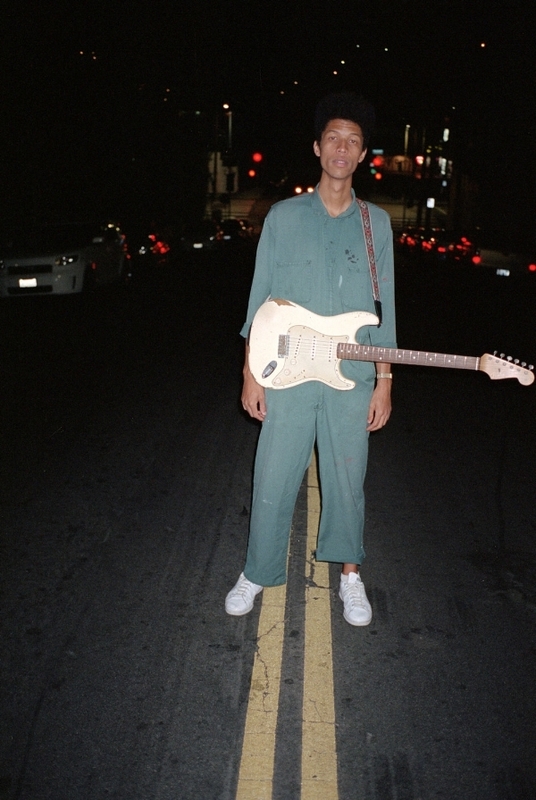 Harrison Lipton is a renaissance man, and if you’re a fan of Mac DeMarco and/or Frank Ocean, there’s a lot you’re going to like about Loveliness. MP's first proper mix is an exploration in waking up to a dreamy wave of low bpms and falling asleep to choir-like melodies. Featuring Coco Solid, Deaton Chris Anthony, LAVALAMP, and a live version of Ariel Pink's "Baby". Enjoy. Godmode's latest offering is a "sixftsumthin" soulquarian whose new track "Tangerine" is spreading like wildfire. The gentle giant of rock & roll Ty Segall has released a new album titled Freedom's Goblin, and it's anything but gentle when it comes to reminding us how gifted and connected this man is. "It's a little sweet and a little wicked. Imagine taking a Chuck Berry song and dipping it in tie-dye gasoline – that's "Speed Racer". Original rock and roll distorted for your listening pleasure." Check out the new cut from Trance Farmers, available as a free download. "Shy Layers doesn't mind if you call his music easy-listening." In fact, it's the most accessible, experimental music I can remember ever hearing. *Insert cliche catch phrase here* Ex. "Mild High Club is back and better than ever." But it's true - Skiptracing is one of the most intriguing albums you'll hear in 2016. What is a producer if he can't create vibes? L. Neptune is full of them. Experience the premier of a jangly new romantic jam from up and coming musician, Easy Rider. A bizarre mix of 80s music from River Girls tapes founder, Coleman Guyon a.k.a. Harry Talin ~ The ethereal magician. Dive into the latest release from Pool House Ltd. paired with footage from a recent excursion to the island paradise of Hawaii. Introducing new records from West Coast guitar-nerds Tomorrow's Tulips, Parisian producer Pun Collins, and synth-goth queen Geneva Jacuzzi. Our list of the best albums and songs that 2015 had to offer. Be sure to check out Harriet Brown, Phantom Posse, and Harry Talin. Solo artist and founder of River Girls tapes, Coleman Guyon a.k.a. Harry Talin, releases The Exciter — a lonesome journey of self-discovery built on disparate compositions of horns and synths. The mysterious duo giving nostalgia a makeover with their take on '80s pop, sits down with MP for a proper introduction.